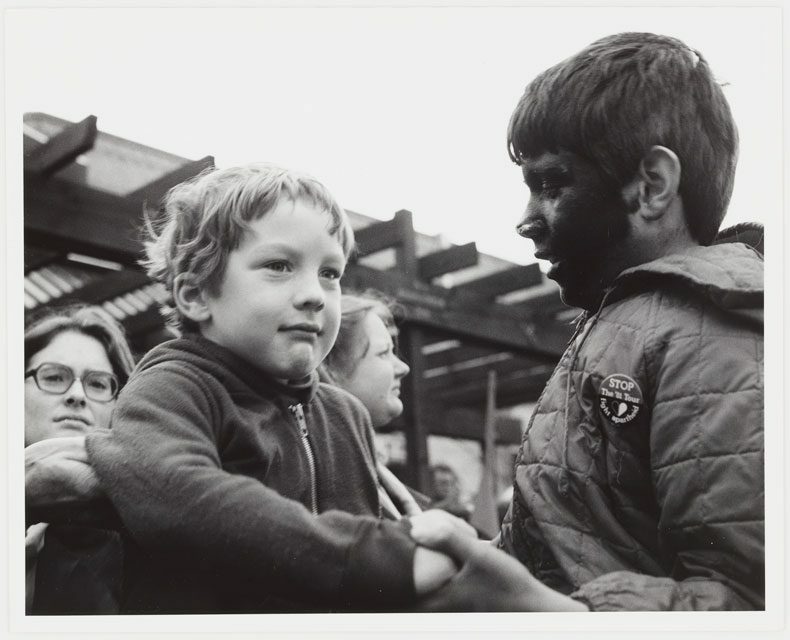 History curator Stephanie Gibson has a particular interest in how tiny things can have big impacts – especially in protest movements. She talks through some of these objects which feature in Te Papa’s collection, but also her personal one. You don’t have to carry a big banner down the street to make your point – sometimes something tiny like a badge can be just as effective. I’m always on the lookout for protest objects for Te Papa’s collections, but also my own. I can often be found rummaging in op shops looking for gems. I’m particularly drawn to tiny activism. Mass-produced objects like wristbands, ribbons, badges, and stickers can claim public space and attention regardless of their size. They act like small travelling billboards, providing easy and cheap opportunities to send messages to the wider world. Tiny activism is everywhere once you start looking. 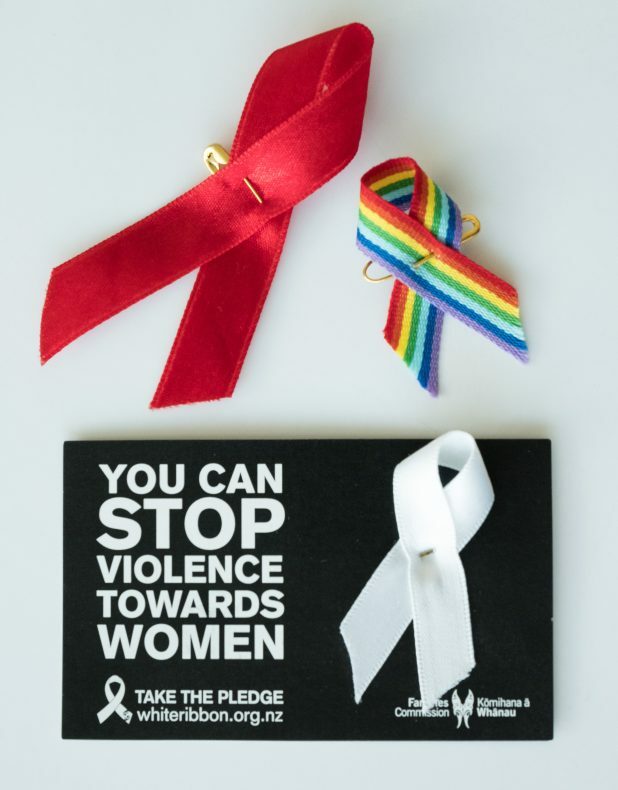 White ribbons against violence towards women, red ribbons for HIV / AIDS awareness, nuclear-free bumper stickers, wristbands calling for safer working hours for doctors, the list goes on. 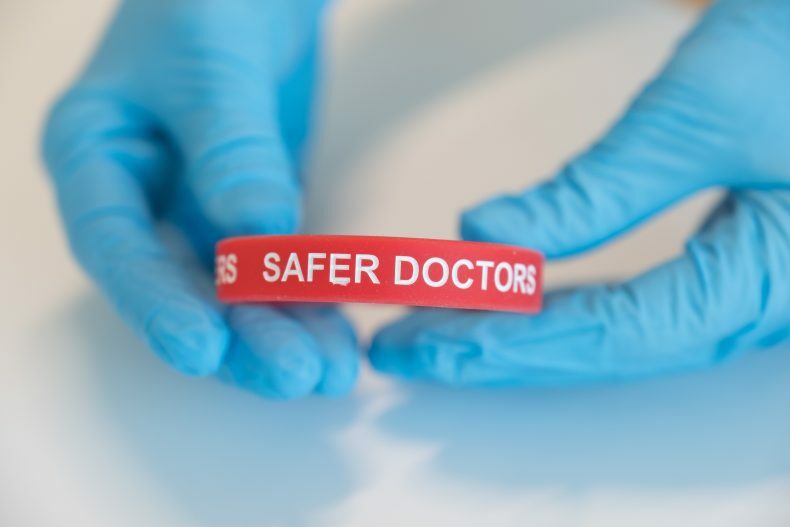 Sometimes I literally stumble across objects in the streets such as the ‘Safer Doctors’ wristband found on a path near Wellington Hospital. Stickers have long been used by protest movements. They’re cheap to produce and easy to slap onto any surface. In the days when everyone wrote letters (and for those who still do), stickers like this one could be added to thousands of envelopes and sent across the world. Badges are my favourite form of tiny activism – partly because they have such a long history dating back to the 12th century when they were worn for religious and secular reasons including faith, status, allegiance, and identity. They were made from cheap metal alloys and either stitched or pinned to clothing. Manufacturing processes in the 1890s enabled the development of the most common type of badge still seen today – small discs of plastic, printed paper, and metal tightly pressed together with a pin at the back. Badges are also interesting because they present designers with a great challenge – how to fit a symbol and message into a tiny round space. 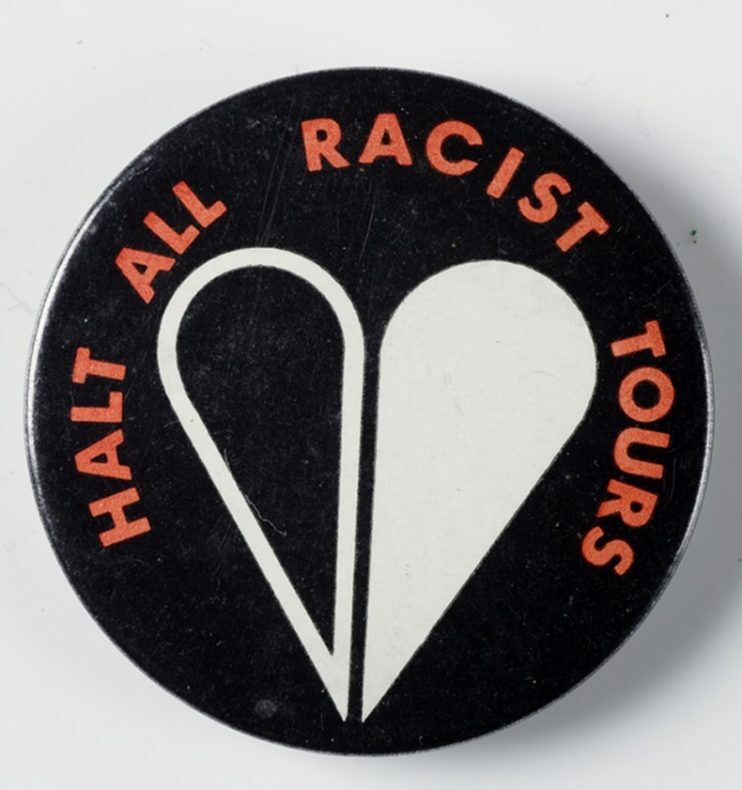 Many will remember one of New Zealand’s most effective protest designs – the Halt All Racist Tours (HART) split black and white heart symbol. It was designed to be easy for anyone to draw, paint, or print quickly. It was apparently designed by a Christchurch screen printer. If anyone knows, please leave a comment! 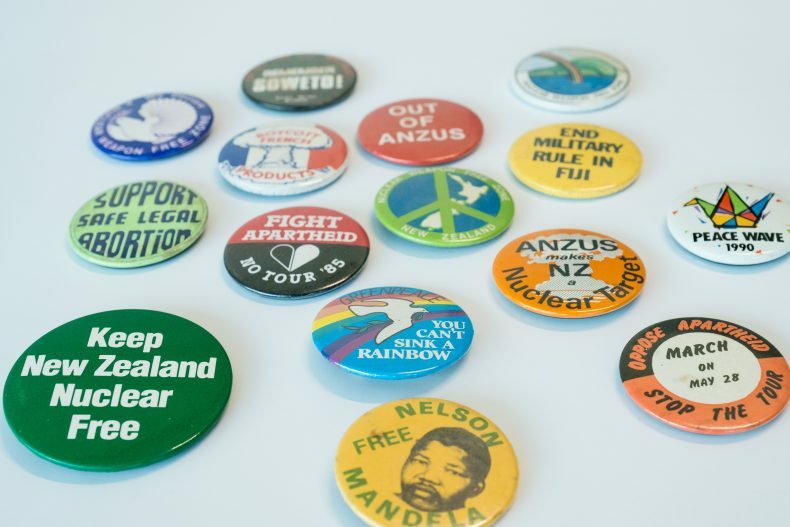 Badges play an important role in protests ‒ they are cheap to make, easy to distribute and sell for fundraising, and wearable on any clothing. 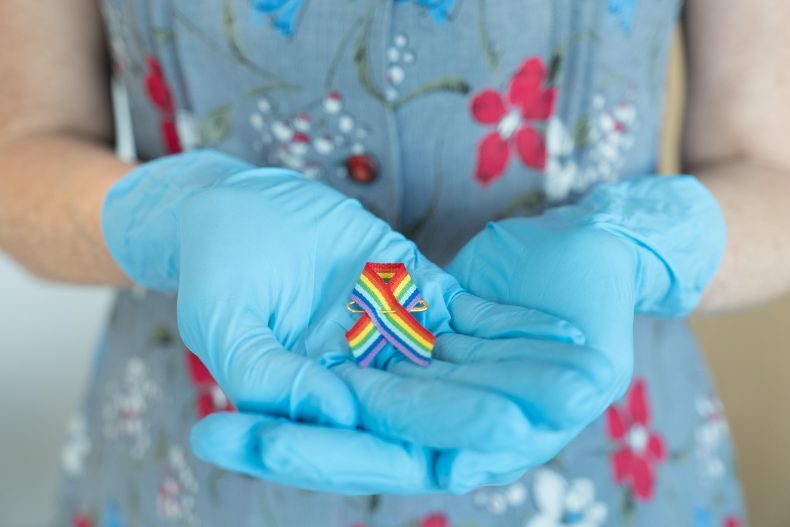 They are small enough to be relatively nonthreatening, and can slip beyond dramatic protests into everyday life – although the saying ‘badge of courage’ is a reminder that even a tiny stand can take enormous bravery.